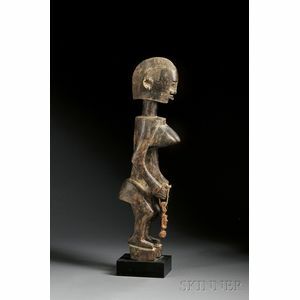 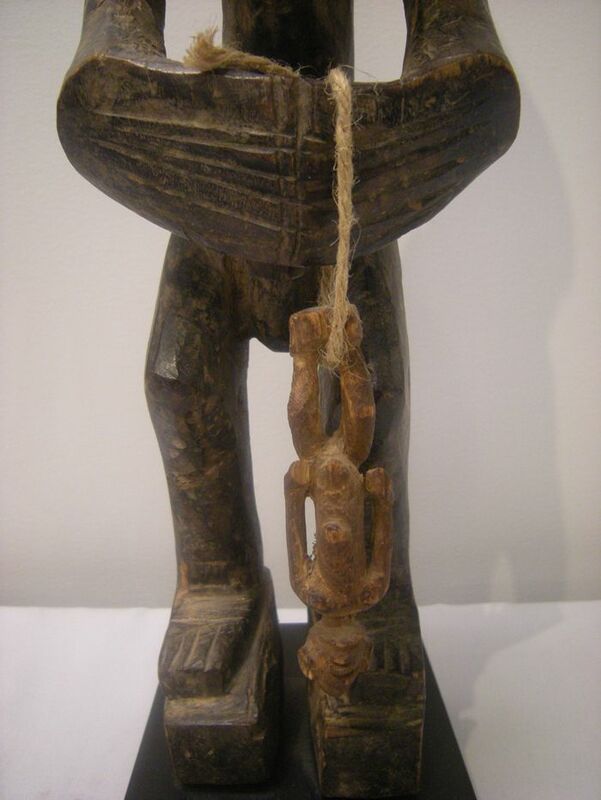 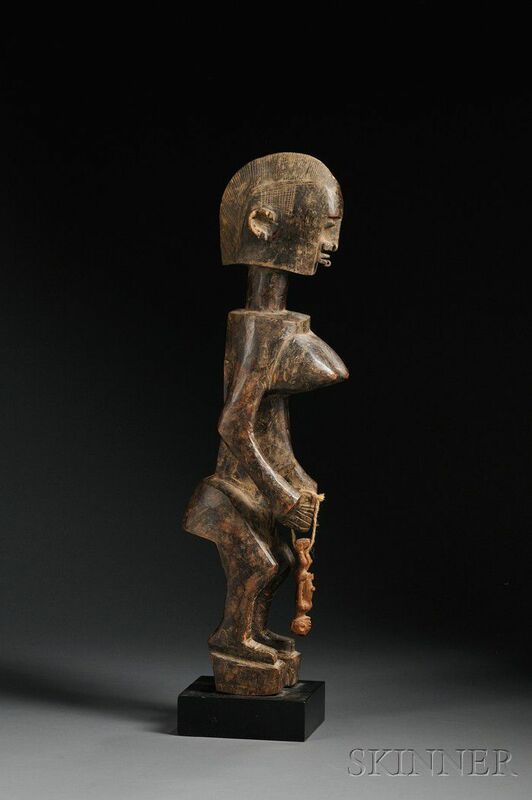 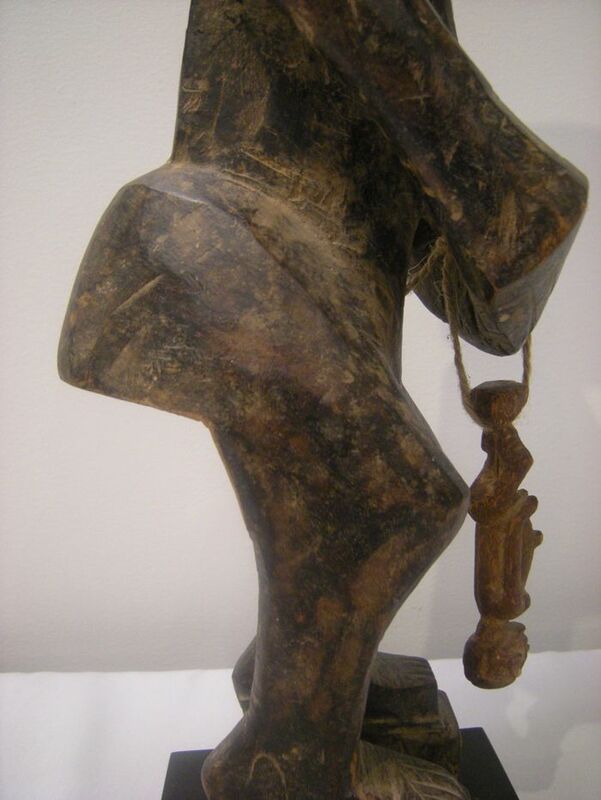 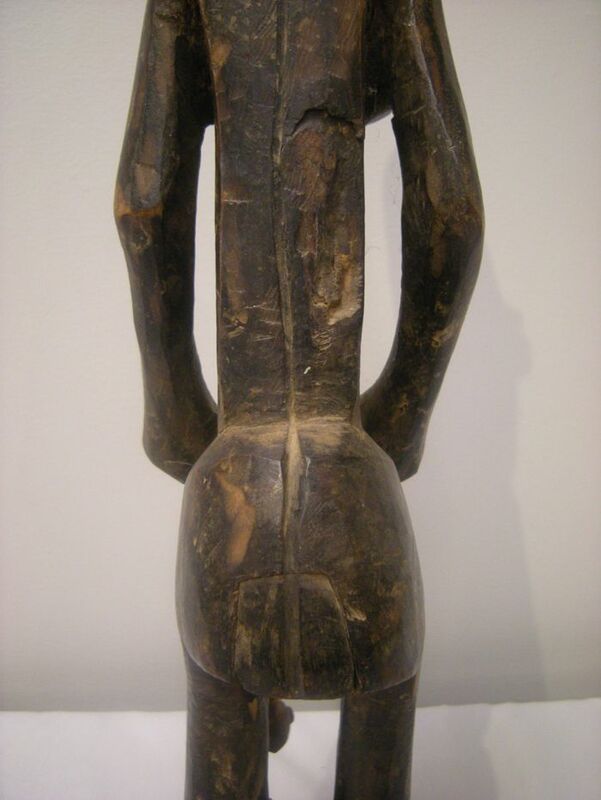 African Carved Wood Female Figure, Bamana, the stylized form with bent knees, large breasts under shelf-like shoulders, the hands clasped together at the front with a small figure attached, the head with metal eyes, nose, and lip ornaments, and incised detail, brown patina, ht. 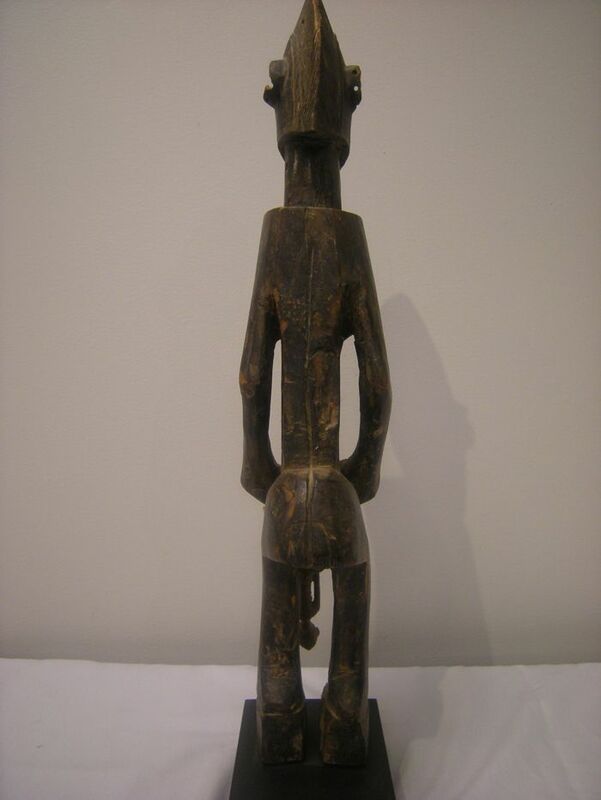 22 1/2 in. 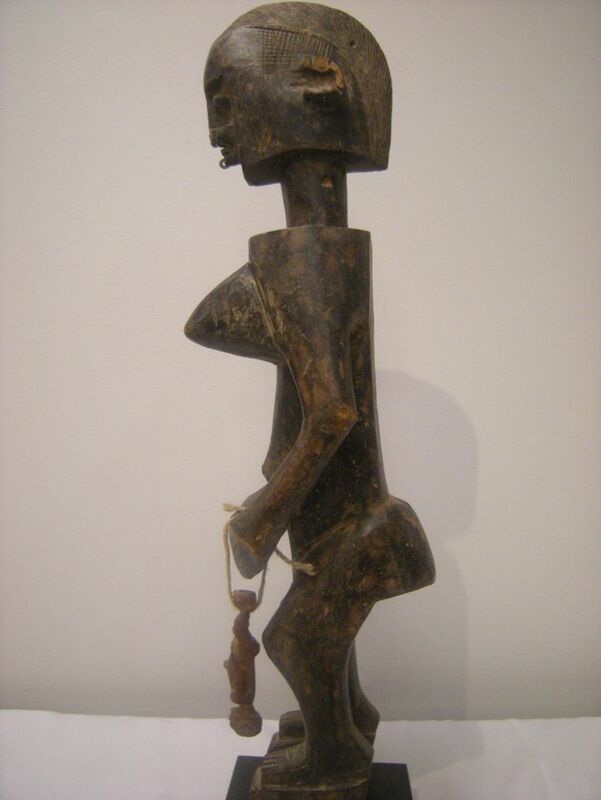 Provenance: Julius Carlebach, New York, 1949, Arthur Rothenberg collection.